Meanwhile, lawyers close to the Trump administration helped Cohen craft his Congressional testimony, including his draft statement to the Senate panel according to the report. This did not include former White House counsel DOn McGhan, who told BuzzFeed through an attorney: "Don McGahn had no involvement with or knowledge of Michael Cohen’s testimony. Nor was he aware of anyone in the White House Counsel’s Office who did." 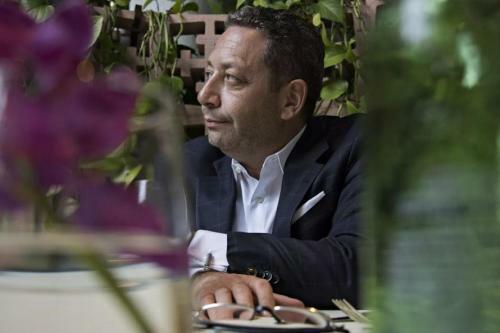 Sources say Sater, whom Cohen described as a “salesman," testified to the House intelligence panel in late 2017 that his communications with Cohen about putting Trump and Putin on a stage for a "ribbon-cutting" for a Trump Tower in Moscow were “mere puffery” to try to promote the project and get it off the ground. Of course, buried towards the end of the story BuzzFeed notes "The trip to St. Petersburg never took place and the plans to build Trump Tower Moscow never came tor fruition." That said, "the negotiations occupy an important place in Mueler's investigation, as agents try to learn whether it is connected to the Kremlin's interferene campaign and whom Trump associates were in contact with to close the deal." Trump, in his defense of the project, stated last November "There was a good chance that I wouldn’t have won, in which case I would have gotten back into the business, and why should I lose lots of opportunities?"